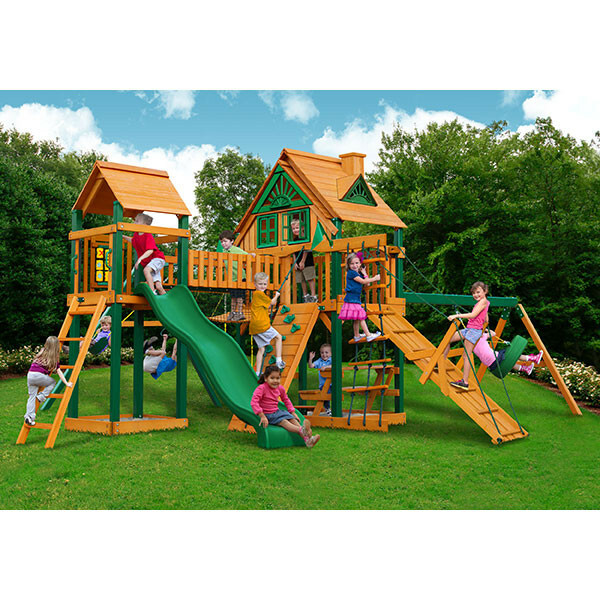 One of the best swing sets on the market, the Gorilla Playsets Pioneer Peak Treehouse has some of the most unique features from Gorilla as well as some of the most popular. 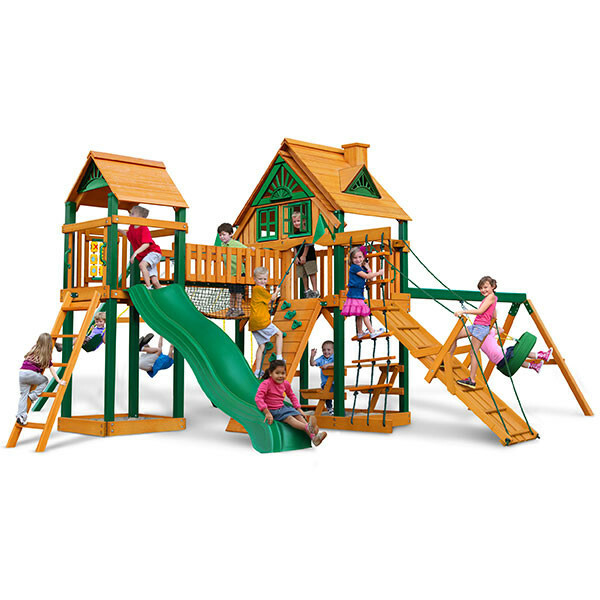 The most noticeable feature of this playset is the clatter bridge connecting the main play platform to another smaller tower. Both towers are covered by an attractive wood roof along with the main tower featuring the treehouse finish with windows, working shutters, and a sunburst design. 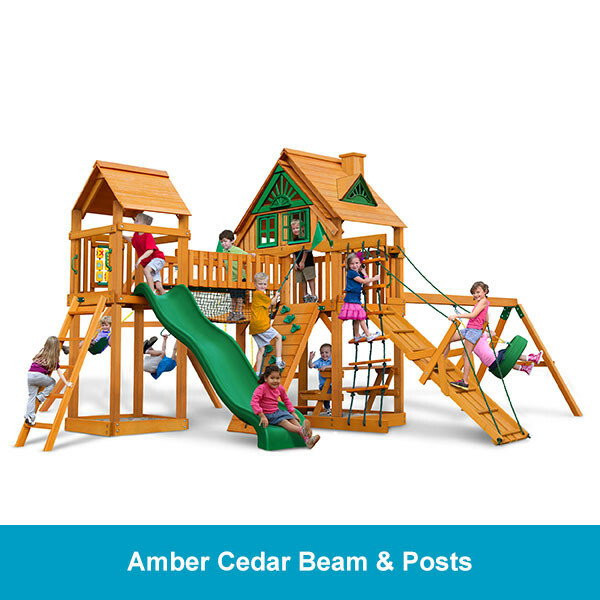 Unlike most swing sets, this set includes not only 2 belt swings and a trapeze swing, but a separate swing beam with the amazingly fun 360 degree Turbo Tire Swing. There is also a unique climbing ramp to access the main tower along with a rock climbing wall, and rope ladder. 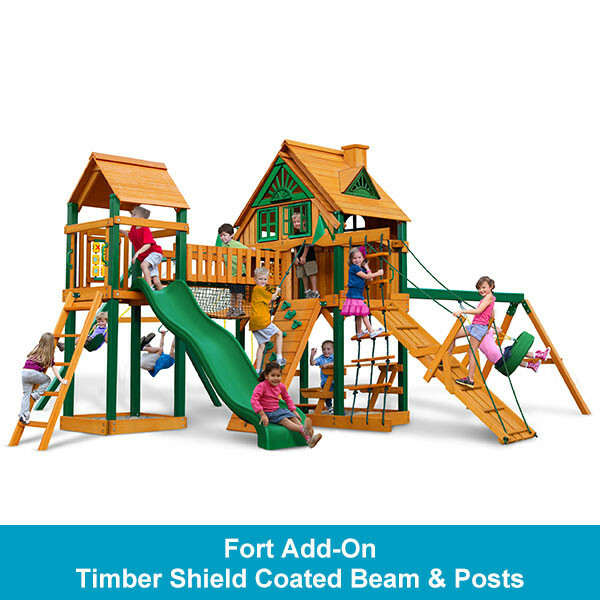 Kids will love the wave slide and the built-in picnic table along with two include areas for a sandbox under each tower. 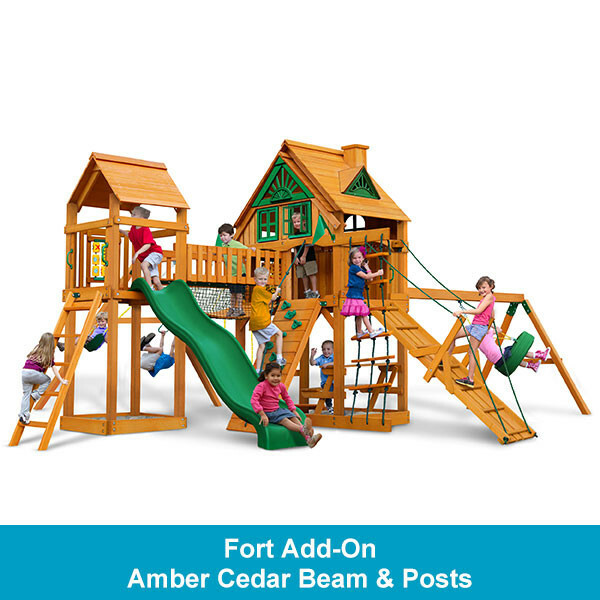 Get this one-of-a-kind wooden swing set for your backyard and with the included 3D illustrated instructions you’ll even be able to assemble it yourself. 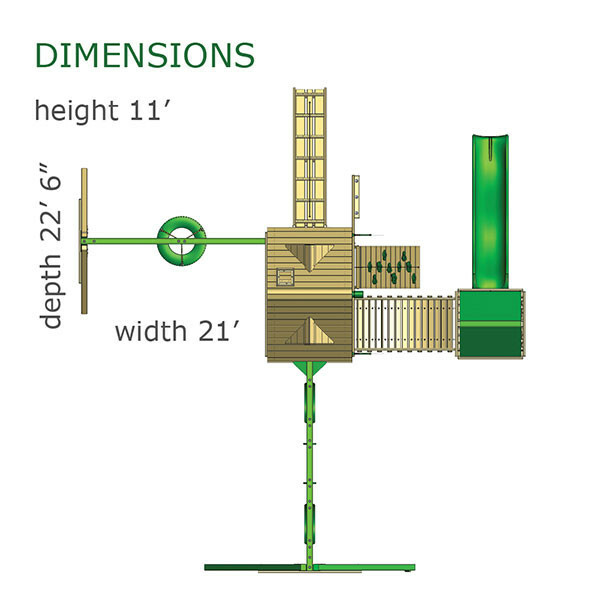 All of the necessary hardware is included and all of the lumber is pre-cut, pre-stained, pre-sanded and some pieces are even pre-drilled for your convenience. When ordering please choose between the Amber Cedar option or the Timber Shield Coated option. Timber Shield Coated Beam & Posts – The swing beam, swing beam legs, and corner posts are coated with a Timber Shield™ coating which is a thick, green plastic layer designed to protect the wood against weather and other outdoor elements.